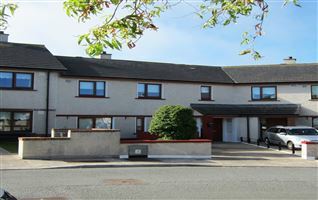 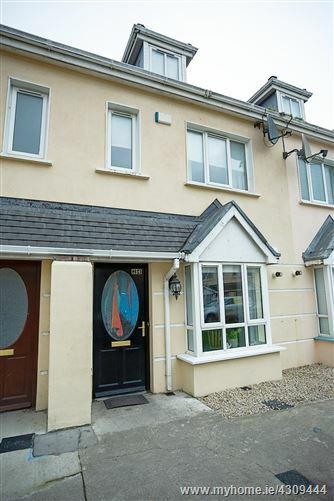 This spacious three bed terraced house comes to the market situated in the popular development of Moylaragh Drive. 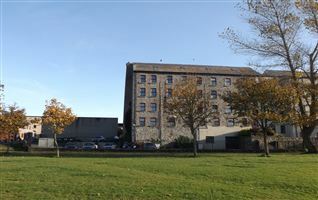 With an array of local amenities on its door step including shops, supermarkets, pharmacy, schools and Balbriggan town centre is within walking distance. 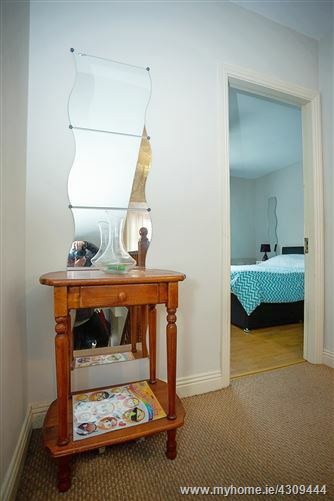 It's also conveniently situated minutes from the M1 motorway. 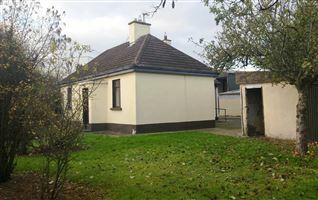 The area boasts sandy beaches and the beautiful Ardgillan Castle with its spectacular park lands and state of the art children's playground. 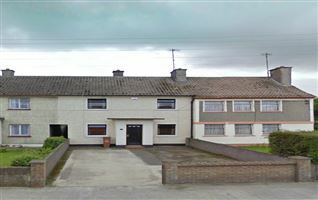 There are also numerous sports clubs and facilities including golf, Gaelic, football and rugby to name just a few. 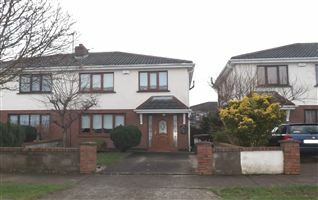 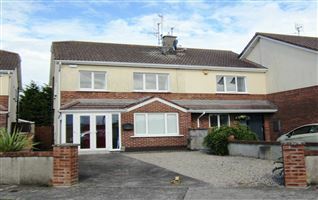 This property is presented in walk in condition and would be an ideal family home or as an investment property. 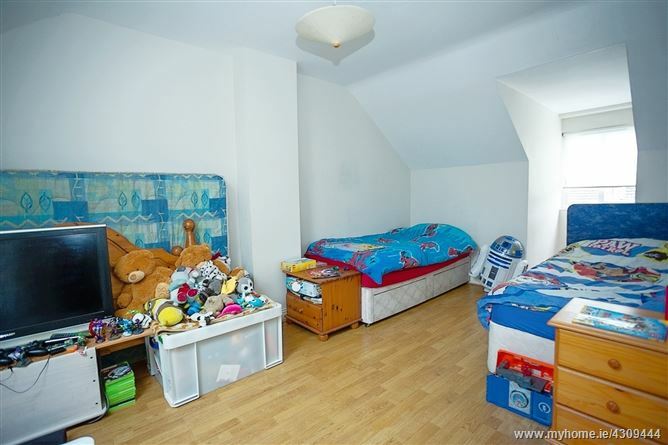 Spacious hallway with wooden flooring, alarm pad and under stairs storage. 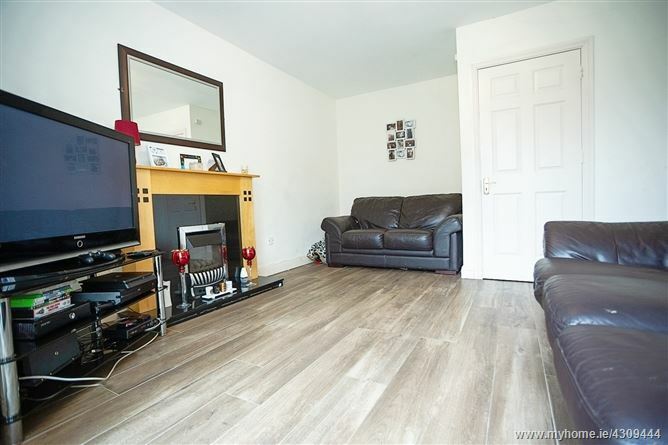 Bright room with tv point, wooden flooring, a feature fire place with a wooden surround and an insert fire. 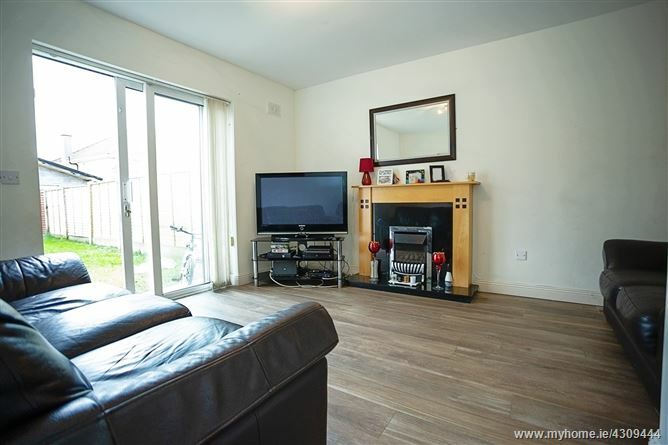 Patio doors lead to the enclosed rear garden. 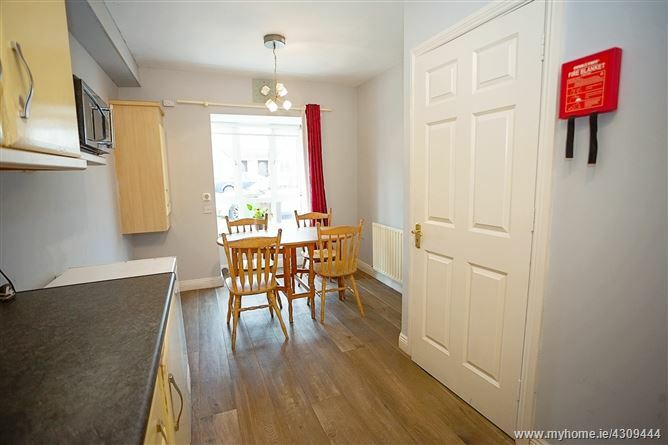 Kitchen with wooden flooring and fully fitted wall and floor cabinets, tiled splashback. 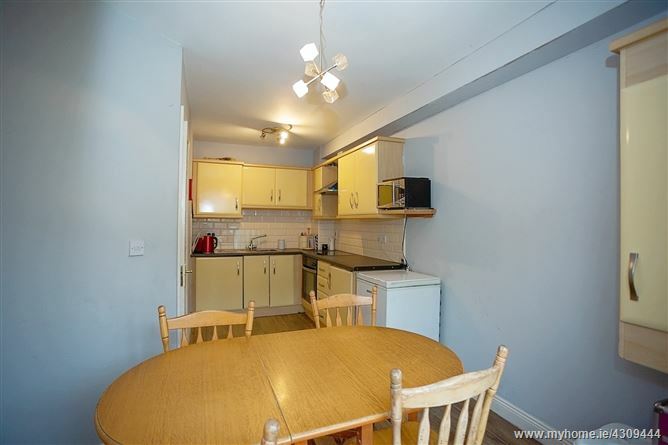 stainless steel sink, oven, hob and extractor fan, dining area with a bay window. 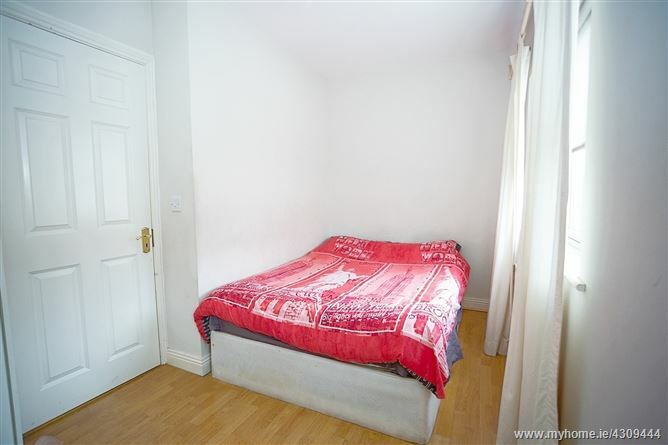 With carpet flooring, access to the hot press and a carpeted stairs to the second floor. 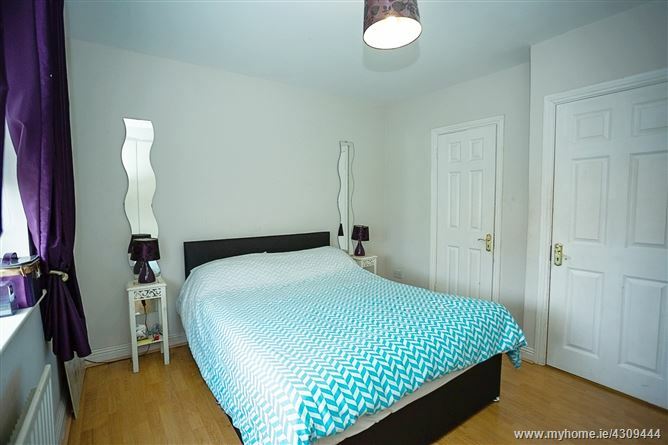 Double bedroom with wooden flooring and built in wardrobes. 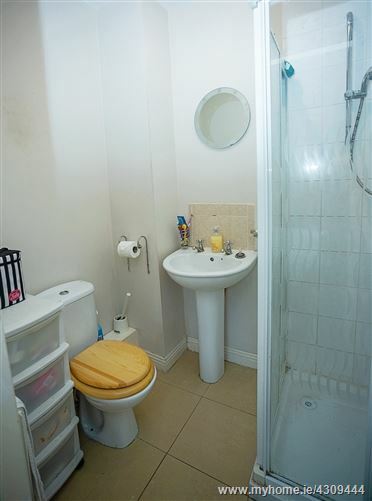 With tiled floor, wc, wash hand basin, shower, tiled around the shower and splash back. 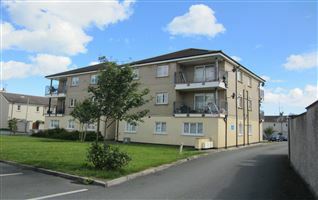 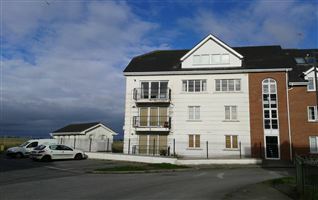 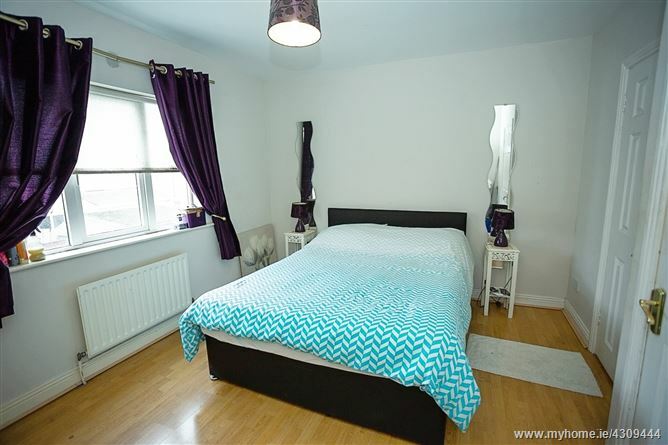 Double bedroom with wooden flooring and built in wardrobes, two windows to the front. 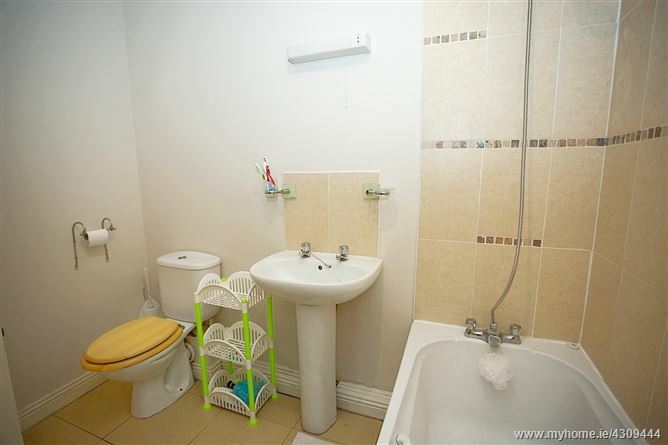 With a tiled floor and tiled walls around the bath, wc, wash hand basin, bath unit with a combined shower. 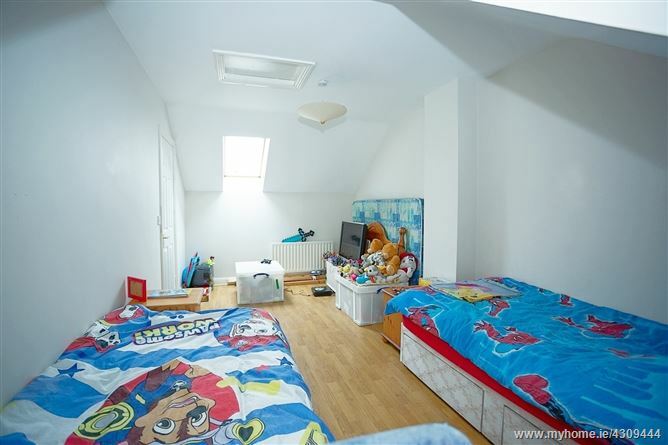 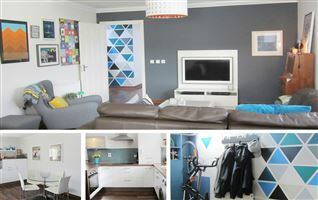 Large bright double bedroom with Velux window and wooden flooring along with access to the attic. 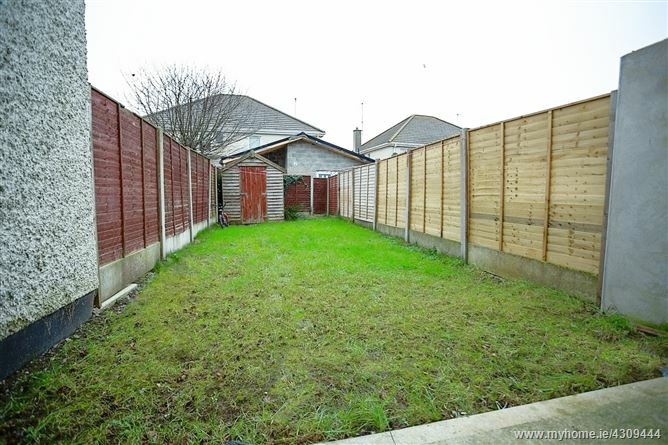 Enclosed by fence with a grass area and a Barna shed.